Our Panama SpanishPanama school’s email is : info@spanishpanama.com Our office telephone number is (+507) 213-3121 Cellular: (+507) 6590-2007 At SpanishPanama school you’re in the heart of it all and main hotel district of Panama City! SpanishPanama Spanish school is located on Via Argentina, El Cangrejo, Panama City. Carefully put in your correct email if using the form right at the bottom of this page. You should hear from us real soon. We are just below New York Bagels and right across from Subway Restaurant. You’ll see our Tucan logo and another big sleek sign (10 meters wide) over our balcony-social area from anywhere in that busy intersection of convenience stores, cafes, and restaurants. 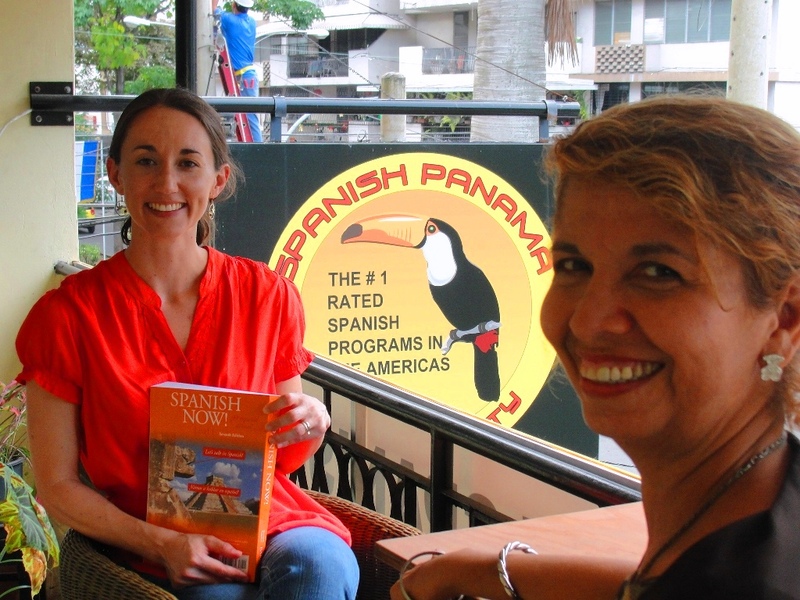 Our Spanish school is less than a 30″ drive from PTY Tocumen International Airport in Panama City. Most of the best hotels in Panama City are within a very short walking distance of Spanish Panama Spanish school. Ask the receptionist to point you in the right direction. The legal fare by taxi is $2 (or less) – $4 from all major hotels in Panama City. With the new metro subway system in Panama, there are more ways to get to and from your Spanish classes. For example, SpanishPanama students staying in Bella Vista or Casco Viejo, can now walk to the “Cinco de Mayo” metro station and get off after 2 stops, at Via Argentina. If you’re in the Banking Area or Marbella it’s only one stop from the beautiful church called “Iglesia del Carmen” to Via Argentina. SpanishPanama is just 2 blocks up Via Argentina from there. Get out of the Metro on the escalator side that says “Via Argentina”. If you are living or staying around Albrook or Tryp Hotel you may take the metro at Albrook Mall and reach SpanishPanama in only 20 minutes! We are two blocks down from the University of Panama and two blocks up from Via España, right in the center of the most fashionable Street in Panama, Via Argentina, down from the (Albert) Einstein Head statue.